One complete solution for all your operational requirements…. The solutions for airfare consolidators offered by Vinet America include web services interface with Amadeus and Sabre. 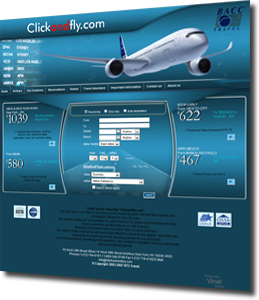 Mark up and sell all your airfare on internet to your customers as well as your agents. While the airfares flow from Amadeus and/or Sabre a sophisticated margin administrator will price them and make them available on the professionally designed web sites. The fully integrated back office also keeps you in control of your sales and operations. Once the reservations are accomplished they are seamlessly transferred to GDS for finalizing the ticketing. In case of bulk/snap fares the system will pull and display them as well in addition to published fares. Professionally designed landing pages can be used for special offers. 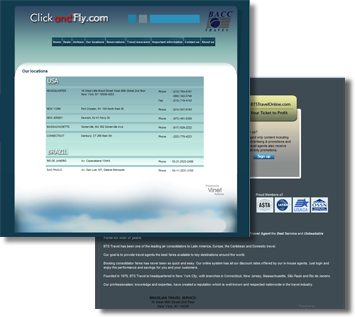 For operations and controls a vast list of reports and queues is provided to ease life for travel industry. All customers and agencies can view their reservations at the special “my reservation” page. Documents (with your logo) such as itinerary, invoice, confirmation document etc will be auto mailed as the reservations roll. Credit card processing is integrated in the system.